Portable urinal hire is a perfect toilet solutions for festivals, concerts and large events. The 4 man portable urinals are ideal for small events or those where there are multiple toilet areas. The perfect solution to assist in queue reduction, but also allows the user privacy. All urinals come with self-contained effluent tanks which collects all the waste and are very easily delivered and set-up. Delivery is direct to your location in London, Essex and the surrounding areas. 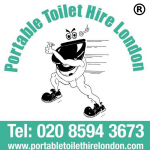 Contact our dedicated team at Portable Toilet Hire London to discuss the requirements for your event, construction site or festival. We'll ensure that you are fully satisfied and have all the information to hand to book your urinal hire.